You guys are the best! 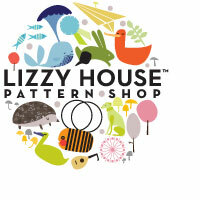 How about a free pattern & fabric to celebrate!!! Thank you so much all of the House's House love!!! Your lovely comments are so appreciated! Thank you as well for taking the time to answer my solids/near solids questions. Your answers are so helpful, and just the information that I'm looking for. As a thank you, how about a free quilt pattern? It's a few years old, a quilt that I made for my cousins over at Cosmo Cricket for their fabric line called Hey Sugar! If I were to make it again, I'd leave off the border, but I'm not much of a border girl. It's amazing how two years passes so quickly. Two years ago at this time, Houston was trying to pull itself out of hurricane Ike, I had no power for two weeks, and I was trying to get three quilts finished for quilt market; this being one of them. Please keep leaving your responses about solids on the previous post, I will be sure and pass on your thoughts and wishes to quilt shop owners everywhere. House's House is done, and a survery!!! What do you think? I love it...I love these house's so much! Can't wait to quilt it in a few days! If you know anything about me, you know about my love for solids, and we will now add near solids (see above)! I have the opportunity to talk about this subject; nearest and dearest to my quilty heart to a room full of quilt shop owners. Would you like to share your thoughts about this with some shop owners? Here's some questions, that I would love to have your input on, if you have a moment. We've talked about this before here, but your fresh outlook will be so helpful to me. 3. Do you use strictly solids, or do you use near solids as well, such as Grunge (Moda), Crossweave (Moda), Dimensions (RK), Carolina Chambray (RK), Quilter's Linen (RK), Kaffe Fassett's Shot Cottons? There may be others that I'm not familiar with...if you use something else, let me know...like linen. 4. Are you comfortable using solids? 5. How big is your stash of solids? 6. Is there anything that you would like your quilt store to know; in regards to solids, their use, and their availability? Thank you everyone that visited, and commented about my Moda Bake Shop quilt Sunday Best! I'm afraid that those triangles scared some quilters off, but I hope you will give my tricky 2 Charm Square - 8 HST's method a try. Also, thank you in advance for also for your input on my SOLIDS SURVEY! Photos from Robert Kaufman's Kona Cotton dispay @ Spring Market...thank you Allie! Check out something cool thing on Robert Kaufman's website here, and to listen to a really, really nice podcast reviewing City Quilts go here, episode 150 at 27 minutes in. I have to tell you that my heart is over following with gratitude for your warm reception of my book!!! I've received the kindest emails and comments, and I thank you so sincerely! The very best part has been being told that you love the part on inspiration, or that you are seeing your city and surroundings in a new light, or that some quilters are considering solids for their quilts, when they never have before. It's all good, and I am so so happy! thank you thank you thank you times a million! Market goodie bag winner, plus another contest! Thank you to everyone who left such nice comments for the Market goodies contest! You said kind things about your families, about your day, about the weather, about quilting, about my quilts, and about City Quilts! Makes a girls head puff like a balloon with all of those kind words! Congratulations Cindy! Thank you again to everyone that participated!!! Okay, I'm off to spend a few more hours with my daughter Melissa...today is her birthday, I can't believe my baby is 21! Tomorrow she is back to Baltimore, interviewing at a hospital for a nursing job. Babies grow up too quick...go hugs yours if you can. Home from Market, and a Market loot giveaway! Spring Market is done, and we are home! Lizzy and I both had schoolhouse's, and they went very well. Cake Party was a great success too! If you ever need cakes in the Minneapolis area, I strongly recommend that you visit Grandma's bakery...too delicious! We were able to see so many good friends, and make new ones as well. City Quilts was well received, I am so happy to say! Lots of kind comments, and best wishes for the book. Have you picked up a copy yet? If so, what do you think? There were two book signings, and we gave away 72 books, which seems huge to me. I was so nervous about the book signing, never having done one before, I thought to myself, "do I need to bring a pen, or does someone supply one". Silly! By the way - they supplied the pens. Below is a quilt that I made for the lovely Michelle and Gina of Cloud 9 fabrics...touching these fabrics will definitely give you an appreciation for organic cottons - so soft and amazing! Now to the giveaway...everyone is very generous at Market - so of course, this generosity should be passed on to you! This goodie bag will include Anna Maria's Handmade Beginnings, some fabric, a tote bag or two...lots of fun stuff from market! How to enter? Leave a comment about something nice...that's it, no hoops to jump through. Okay sweet friends, back to work for me! Hooray for Lisa Ann, and many many thanks to all of you that entered the drawing! Your kind comments always mean so much to me, and that so many of you are happily anticipating the release of City Quilts is the very best news...thank you! Well friends it's off to market I go, along with Lizzy and tons and tons of quilts! I promise to take photos, and give you fresh reports. Please wish me luck with schoolhouse...it's my first! This is the subject of my SCHOOLHOUSE @ Quilt Market! Store owners do you want to know how to bring young quilters into the fold? New baby quilters do you want to know that you are loved and needed in the quilting industry? If so, come to my schoolhouse on May 20th, hosted by Brewers at 2:25 to 2:40 PM 212B. Let's talk about why we need each other, and how together we can make quilting the best ever!!! Win fabulous prizes from Robert Kaufman - Kona Cotton Solids anyone??? See examples of traditional quilt patterns turned into awesome contemporary wonders! Good Morning world...just popping in to say hello! It's such a busy time right now with Market right around the corner, my book being released next Monday (CAN YOU BELIEVE IT!!! ), two of my daughter's on the move - Ashlee to Georgia for the summer, and Melissa coming home, Lizzy flying to Idaho for a quick trip, lots and lots going on. It is all good stuff, but so busy! I hope all of you Mommy's had a wonderful Mother's Day! Fortunately I was able to speak to all four of my babies, including Luke, way over in Iraq - I'm always so grateful to hear his voice. Remember that you have until May 18th to enter the drawing for a free copy of EQ7. Be sure and leave a comment here. This quilt is City Circle - another quilt from City Quilts. Okay sweetest friends, have a great week! Guess what? I received my quilts back from C&T yesterday...so exciting! Everybody came home, except City Lot and City Lights which are going directly to Quilt Market. I'm just going to come right out and say this, I love this quilt! I had the most fun creating it, playing with all that COLOR!!! Aren't these colors of Kona Cottons just delicious? 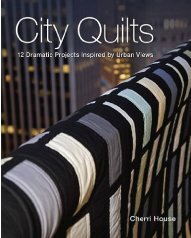 The other day I received an email from C&T saying that the advance copies of City Quilts are in; I was hoping to receive one yesterday, but alas, it wasn't shipped out in time, so it looks like Monday will be the day. 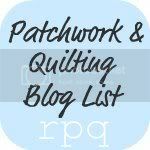 I've been so busy trying to get ready for Market, and trying to help Lizzy with her Castle Peeps quilts, if you haven't discovered Castle Peeps yet, you must check out it soon, soon, soon! The fabric is perfect - adorable and perfect; what more could you ask for. Life has been a whirlwind since last Thursday...Thursday at 9:00 PM Lizzy and I boarded a plane for Salt Lake City for a quick trip to have our hair done...fancy shamancy, let me tell ya; to see our little Ashlee, to hangout in SLC for a bit to visit quilt shops, eat at all of Ashlee's favorite restaurants (can we talk about Omar's!!! incredible), meet all of her bestest friends, and just have a little break. It was such a quick trip, but so worth it! Ashlee works at Salon Zazou, and they are miracle workers! They treated me like royalty; I could get used to being pampered that way! Friday night we didn't have any plans, and we were hunting for something to do, when the phone rang, and a friend of Ashlee's called and asked if we wanted tickets to the Ballet! We thought about it for about 2 seconds, and out the door we ran; what a magical time it was. We saw the opening night of Balenchine's America. If you are in SLC, and have the opportunity to go...go!!! The first number was beautiful, the second number was a little funky, and the finale was glorious! Then today was my interview with Pat Sloan! The interview went well I think, I was nervous, but talking quilts is not a stretch for me, so all and all, it went well! The interview is now able here...check it out, and let me know what you think. If you listen or leave a comment on Pat's website you can win some fab prizes! So, now I will take a deep breath, and then get back to work. We are sewing Castle Peeps quilts as fast as we can, awaiting Lizzy's MIA fabric (ridiculous...ask her about it later), and working on a special quilt for these ladies here. Thank you sweet Ashlee...I had the best time! Thank you Mom for watching the pets!